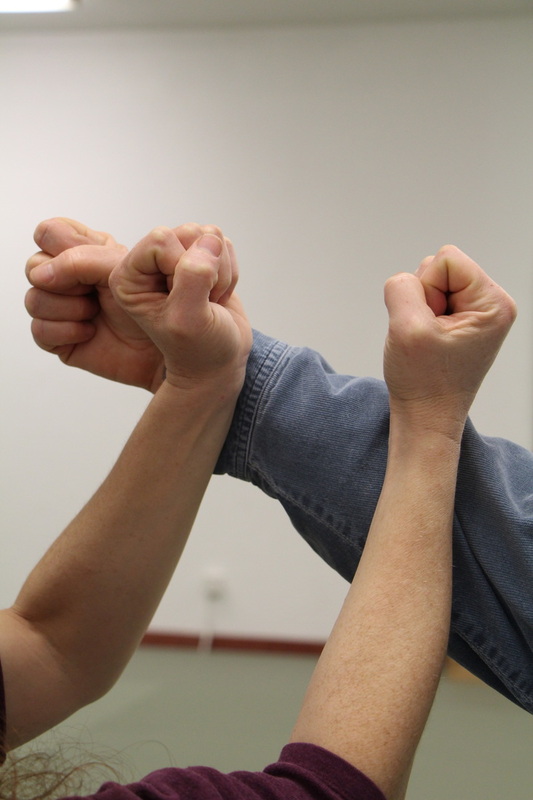 We teach self-defense classes of two different lengths These classes are open to all regardless of ability to pay. Contact Sensei Lisa if you need to pay a reduced class fee. This is a twelve-hour class that includes all of the techniques listed above. In addition to physical practice, we'll talk about many of your specific concerns, brainstorm strategies for specific situations, and discuss how to secure your home. The fee is $150 per student. 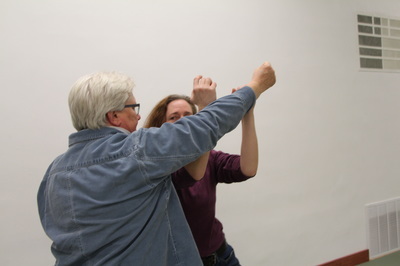 The Classic works best as six two-hour sessions, but we can also teach it as four three-hour sessions. Please note the following. If the class is taught in six two-hour sessions, you can miss one class. If the class is taught in four three-hour sessions, please plan on attending all classes. No makeups are available. This is a four-hour class with an intensive focus on practicing a limited number of physical techniques. There's also much less discussion and we won't cover all of the topics covered in the Classic. The fee is $95 per student and includes a third class at a Tuesday or Thursday night jujitsu class for additional practice. We can schedule the Classic or the Intensive for a group of five or more women, members of a sexual minority, or other at-risk people on Saturday or Sunday afternoons. If you'd like to do this, please contact Sensei Lisa with two sets of dates that work for your group. For a specially scheduled class, we require full payment in advance. For the Intensive Class, if a student who has already paid is unable to attend one or both classes, her payment can be applied to a future Intensive class. ​To ask questions about our self-defense classes or schedule a class for your group, send email to sensei@opendoorjujitsu.com or phone us at 510-842-6243. 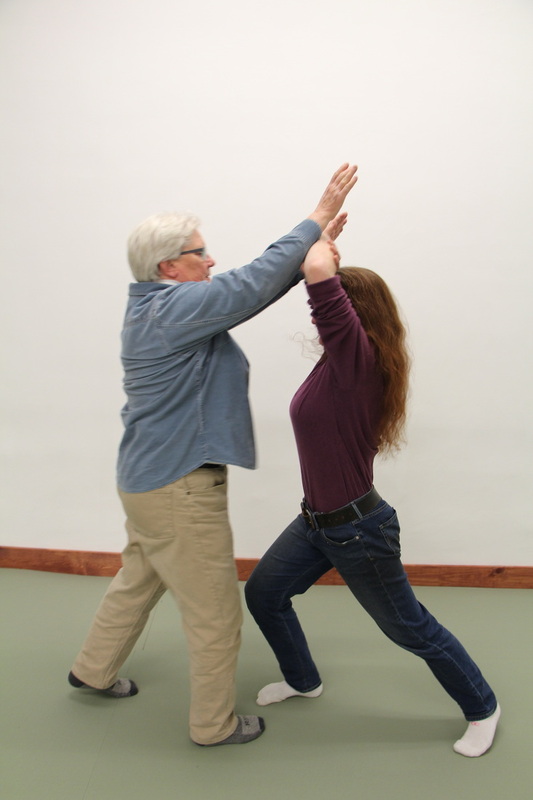 Did you take a self-defense course in the past? Want to refresh your skills, or learn new techniques? Join us at our regular jujitsu class any Tuesday or Thursday night and we'll help you practice what you already know. $10/class. 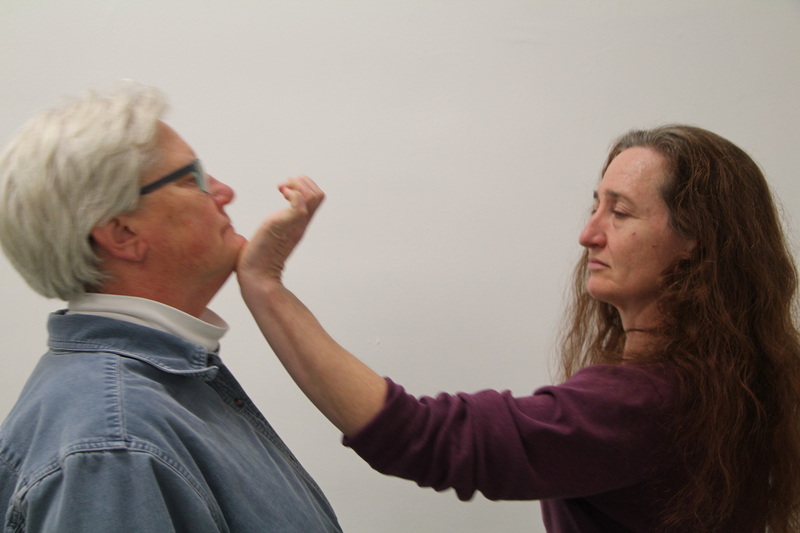 Please contact Sensei Lisa in advance at sensei@opendoorjujitsu.com or (510) 842-6243 if you're planning to com.